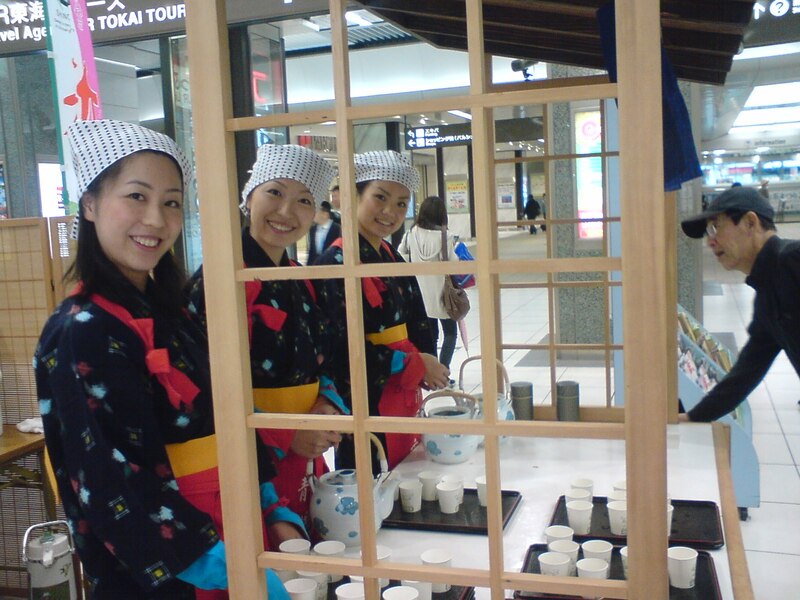 Shizuoka Prefecture produces 50% of all tea in Japan and 70% of the total national production is also traded in our Prefecture! 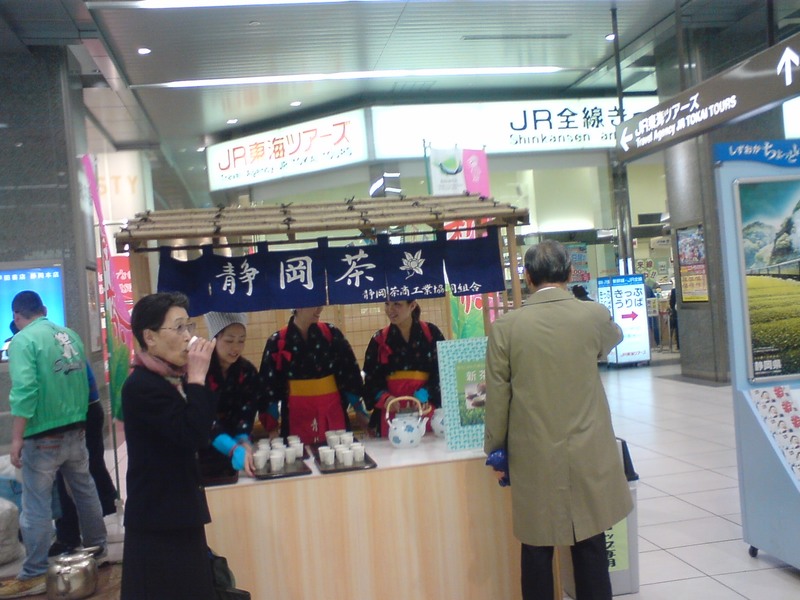 As I was going to take my train to University at Shizuoka JR Station, a major and very busy station in Japan, I noticed the Shizuoka Green Tea stand in the middle of the station. Notwithstanding the beautiful young ladies serving the tea for free (quite difficult to time the photo, I can assure you!) I was attracted as I appreciate the beverage a lot. The tea was Motoyama, oneof the major shizuoka varieties grown in Shizuoka City (which spreads up to the Southern Alps!). A great treat before boarding a crowded train! I wished they could do that for sake, but obviously the police would more than frown upon it!